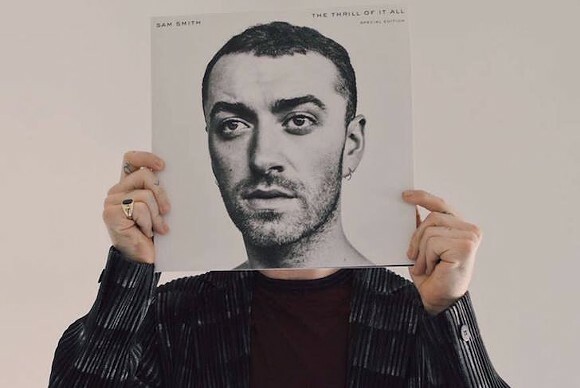 Sam Smith released his sophomore album,The Thrill of It All, on Nov. 3. Fans have been waiting for this since the 2014 release of his debut, In the Lonely Hour. His first album was a profound introduction into his world of heartbreak and loneliness, ushering in the international hits like “Stay With Me,” “Lay Me Down,” and “I’m Not the Only One,” the last of which was later remixed by A$AP Rocky. The new album was worth the wait; listeners can hear Smith’s growth and maturity throughout the album. His lyrics narrate introspective moments as well as engaging stories. His vocals continue to amaze with heartfelt tracks like “Burning” and “One Last Song,” earning him the number-one spot on the U.S. billboard 200. A lot has happened the past three years since Smith’s last release. He’s earned four Grammys, including “Song of the Year” and “Best New Artist,” an Oscar for “Writing’s on the Wall,” and three Billboard Awards. He has faced a healthy dose of criticism, mainly from the legion of listeners that saw a few too many similarities between his song “Stay with Me” and Tom Petty’s “I Won’t Back Down.” He was also called out for mistakenly claiming that he was the first openly gay man to win an Oscar. During his break from the limelight, it seems that Smith took time to get used to the fame and to reconnect with family and friends, which would perhaps explain why this record is Smith’s most intimate and personal piece of art yet. The album opens up with “Too Good at Goodbyes,” which had been released at the beginning of September as the first single for the album. Smith sings about distancing himself from a lover in order to protect himself from heartbreak in a stunning falsetto that’s complemented by intermittent contributions from a background choir. The next song is “Say It First,” during which Smith sings of falling in love with someone while fearing they won’t love him back. He wants them to say that they love him before he admits his love to them. The instrumental contains a simple guitar progression, accompanied by soothing drum pattern, creating an atmospheric track. Up next is “One Last Song,” arguably the highlight of the album thanks to its expert blending of pop and doo-wop, which gives it a nostalgic feel. In the chorus, he croons, “You made me sad ’til I loved the shade of blue,” letting his signature falsetto and vocal clarity infuse the imagery created by the lyrics with a very visceral type of pain. “Midnight Train” is, like so many of Smith’s tracks are, a break-up song—but this time, he’s on the other side than he usually is, doing the breaking up instead of being broken up with. It’s followed up by “Burning,” which was released as a promotional single at the end of October. In “Burning,” Smith describes feeling—quite literally—inflamed by the pain of being left. This song contains potent lyrics that show Smith’s self-destructive habits, which include smoking several cigarettes a day and damaging his relationships with friends and family. He wants to reconnect with whoever left him: “Wish we could smoke again / Just for a day, oh.” The song is driven heavily by a piano and choir, emphasizing the sense of loneliness that pervades Smith’s lyrics. “Him” is a story of a young man coming out to both his father and God, playing on the word “hymn” in order to explore sexuality in the context of a religious family. This gospel-inspired track uses a soulful choir to help Smith tell this story, escalating into a powerful bridge that transcends the volume and fullness of Smith’s usual pared-down sound. In “Baby, You Make Me Crazy,” Smith again struggles to cope with the pain of being broken up with, expressing a search for some sort of distraction. “Baby, You Make Me Crazy,” is followed by “No Peace,” the only track of the album that features any guest artist. YEBBA, an up-and-comer out of Arkansas, adds texture to Smith’s melancholy, the two of them fluidly alternating stanzas and eventually joining in a chillingly heartbreaking final chorus. The penultimate track, “Palace,” uses the metaphor of the palace to expresses gratefulness for a past relationship, using the sparse accompaniment of echoing guitar strums and piano chords to let Smith’s voice do most of the emotional legwork—which is, as we all know, something he’s particularly skilled at. The final track on the regular album is “Pray,” written by Smith after the time he spent doing charity work in Iraq and produced by Timbaland. A gospel track with a hip-hop beat layered over it, the song ends the album on a bittersweet note, expressing a sense of sadness accompanied by hope for the future. Smith, who embarks on the album’s tour in 2018, has already expressed a desire to avoid another long hiatus like the one that came between In the Lonely Hour and The Thrill of It All. Now that he’s added a variety of genre to his knack for overpoweringly palpable emotion and tear-jerking ballads, it seems like he can only go up from here. Dmitri Slory can be reached at dslory@wesleyan.edu.